Prof Vladimir Terzija creates bridges with Chinese academic and industrial partners and talks about his recent academic visits to China. Prof Vladimir Terzija is a Co-Investigator of the £5 million EPSRC funded Supergen Energy Networks Hub. 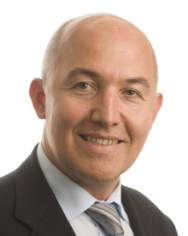 Since 2006 he has been the EPSRC Chair Professor in Power System Engineering with the School of Electrical and Electronic Engineering, The University of Manchester. From 2000 to 2006, he was a senior specialist for switchgear and distribution automation with ABB, Ratingen, Germany. Over the last decade he has been the PI on several large scale EPSRC, Network Innovation Competition (Ofgem) and Horizon 2020 projects. His current research interests include smart grid applications; wide-area monitoring, protection and control; switchgear and transient processes; ICT, data analytics and digital signal processing applications in multi-energy systems. Prof Terzija is Editor in Chief of the International Journal of Electrical Power and Energy Systems, Alexander von Humboldt Fellow, IEEE Fellow, as well as a DAAD and Taishan Scholar. He is the National Thousand Talents Distinguished Professor at Shandong University, China. For his contributions in creating bridges between Chinese and UK academic institutions, in 2018 he was awarded with the prestigious Qilu Friendship Award. Since joining The University of Manchester, I have been collaborating with a number of Chinese academic institutions, including Shandong University, Tsinghua University, North China Electric Power University and Tianjin University. This has resulted in a number of collaborative activities relating to future Smart Grid solutions and implementation of novel ICT and sensor technology. As a Visiting Professor at the Shandong University I lead a research team involving both Professors and PhD students. Jointly with the Tsinghua University, I support their research on power system protection and control. Since 2017, I have attended several high impact events organised by Chinese partners and related to multi-energy networks. I will briefly update you about them in the following text. The 1st conference was held in December 2017, whereas the 2nd conference was held in October 2018. Both events were held in Beijing. The conference focuses on innovative technologies and practical implementations around “Energy Internet” and “Energy System Integration” (EI2). These can be interpreted as the fusion of energy systems with information technologies and artificial intelligence, as well as, the coupling of multiple energy systems (e.g., heating, cooling, electricity, gas, and transportation). This conference promotes innovative EI2 technologies and practical applications which aim to fully realize the interconnection, openness, sharing, and collaboration of various energy resources, and to create green, low-carbon, high-efficiency and low-cost smart energy systems. The conference has offered opportunities to share experience on a number of topics and I was privileged to meet two of my respected colleagues, who are currently acting Editors in Chief of the hey(? 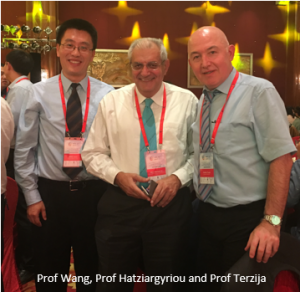 Need to check this with VT) journals relevant for our profession: Prof Nikos Hatziargyriou (IEEE Transactions on Power Systems) and Prof Jianhui Wang (IEEE Trans on Smart Grid). We exchanged our experiences in leading our international journals and discussed how to incorporate, in our journals, results relevant to multi-energy systems/networks. 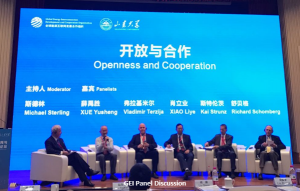 A Global Energy Interconnection (GEI) panel discussion was held as a part of a more general Forum, attended by the leading Chinese and international authorities interested in future challenges of energy related industries. GEI is a clean energy-dominant, electric-centric modern energy system that is globally interconnected, jointly constructed and mutually beneficial to all. It is an important platform for large-scale development, transmission and consumption of clean energy resources worldwide. 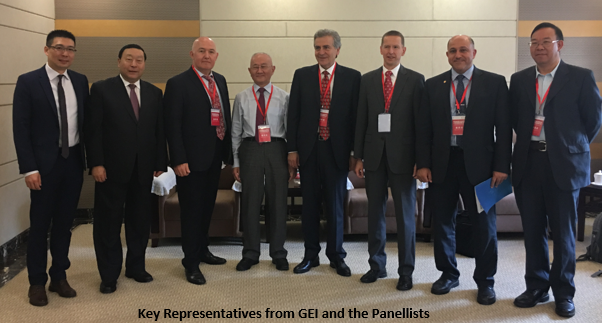 In essence, GEI is “Smart Grid + UHV Grid + Clean Energy”. Question 1: Based on your own special fields and experience, could you please share with us your thoughts on how universities, research institutions and international organizations shall play their respective advantages to promote the innovation development of GEI? Question 2: Could you forecast what unprecedented opportunities will GEI bring, and what kind of cooperation mechanism shall be established as institutional support, so as to guide all parties to participate in the development of GEI? As one of panellists, I tried to address those issues linking strategies relevant to academia, industry and global society. In this context, I elaborated the concept in which the benefits for the global society should be enabled through joint collaborative work between industry and academia. This collaboration should be fair, open and honest. Industry can help academia to shape the directions of the university research activities, putting to the top of agenda the interest of the society we are leaving in. A typical example are efforts towards reduction of CO2 emission, or optimal operation of multi-energy systems. I particularly discussed the advantages of integration of massive power systems across the globe. In my address, I just reminded the respected audience that e.g. when it comes to solar energy, it is always somewhere available and could be used anywhere in the World, or stored locally, or somewhere remotely. From the perspective of the cooperation mechanisms, I insisted on the collaboration in which younger researchers, creative and ambitious to contribute to new and high quality innovation, should be particularly involved at all spheres of the collaboration. 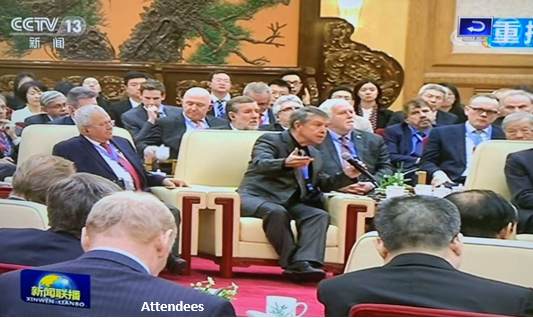 This event focused on the global challenges of Chinese Government in terms of the selection of an appropriate strategy on how to move forward (move forward with what?). 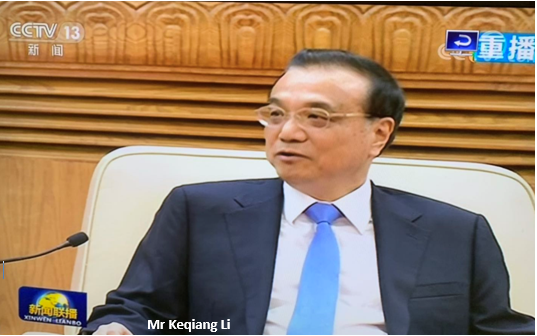 The host of the event was the Premier of the State Council of the People’s Republic of China, Mr Keqiang Li. Three Nobel Prize Laureates gave their personal views about the future technological and societal development of China. One of them was Prof Kostya Novoselov (The University of Manchester). In his address, an interesting and exciting information about the future role of “smart materials” opened very vibrant discussions, leading to conclusions that a number of new opportunities for future collaboration are indeed very obvious. More information of the event and videos of the discussions is available online. In conclusion, the activities related to Energy Networks development in China is very intensive and the Supergen Energy Networks Hub look forward to collaborating with the above mentioned Chinese partners.